Start Here - Let's Chat Sleep! Sleep challenges with your little one? Contact The Happy Sleep Company to schedule a free 20-minute phone consultation - let’s get healthy sleep started for your family! The Happy Sleep Company was developed out of firm belief that a well-rested family is a healthier and happier family. As both a seasoned Sleep Consultant and a well-rested mom, Founder Erin Junker has seen the amazing effects of children’s healthy sleep habits on the overall happiness of families. Our mission is to help exhausted parents help their little ones gain the healthy, restful sleep they need through a supportive and guided approach. Erin's sleep programs involve working closely with families to learn about your child's needs, with the result being lifelong healthy sleep habits for your little one, and amazing sleep for your whole family. Book your free 20-minute phone consultation now! Sign up for our newsletter of blogs, tips and resources! 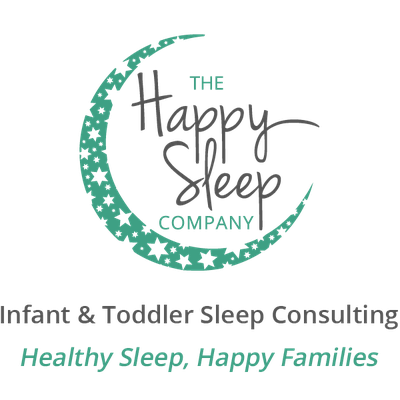 The Happy Sleep Company is owned by Erin Junker, Professional Infant & Toddler Sleep Consultant; the company is based in Ottawa, Canada, and offers baby and toddler sleep consulting services virtually around the globe.